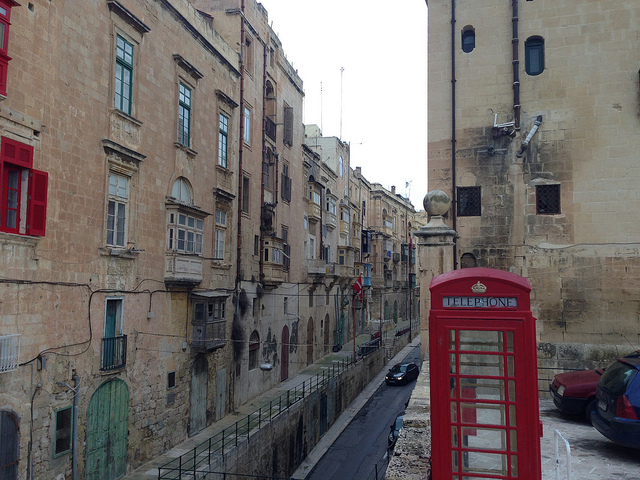 After booking a last-minute trip, less than a week before departure, Natalie and I visited Valletta over New Year 2014/15. The weather wasn’t nearly as hot as it was when Ross and Louise visited in August 2013 – in fact we spent January 1st huddled up indoors as it poured with rain outside. Fortunately it brightened up on the following days, and you can see some blue skies in the pictures from the other post I wrote about the island, dealing with the Megalithic Temples. 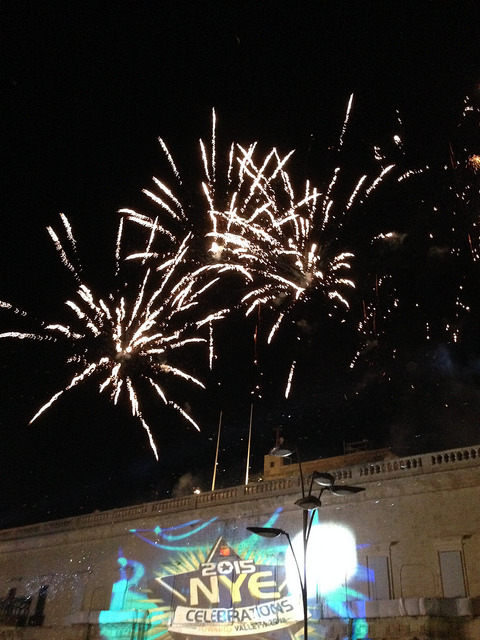 The City of Valletta held a public fireworks display at midnight which was well-attended. I was pleased to hear the familiar strains of Auld Lang Syne as the Mediterranean night sky was filled with a riot of colour. 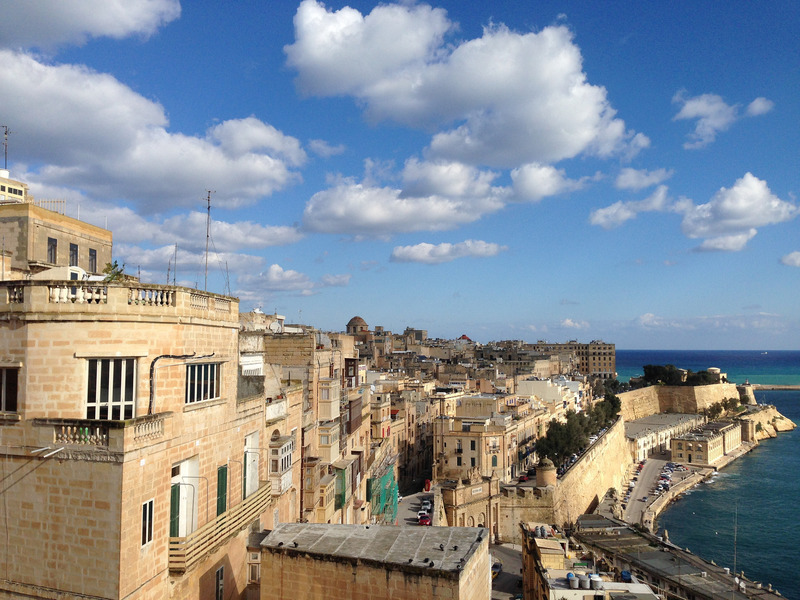 Malta is south of two African capitals: Tunis and Algiers – making it one of the most southerly reaches of Europe. 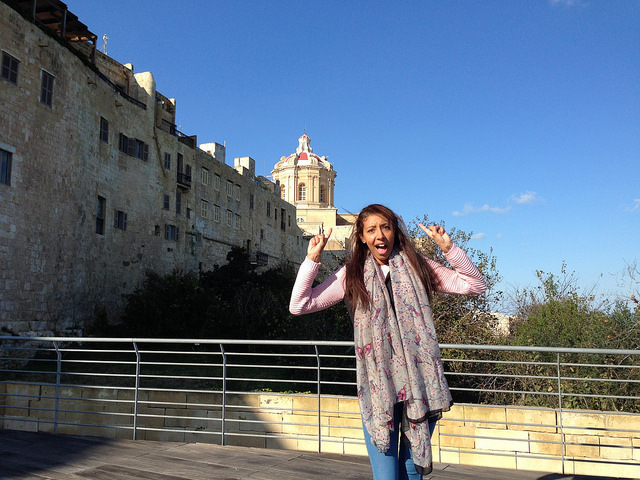 Louise’s comment about Valletta being a sepia-toned city is an apt description. I would further characterise it as being Italian in feel with a distinct British twist. I took particular pleasure in all of the ‘Britishisms’ that dot the urban landscape. As well as the distinctive red post and telephone boxes pictured below, I spotted zebra crossings and traffic light buttons the same as ours. We hired a car for the temple tourism and it was a slight relief to find that they still drive on the left there. 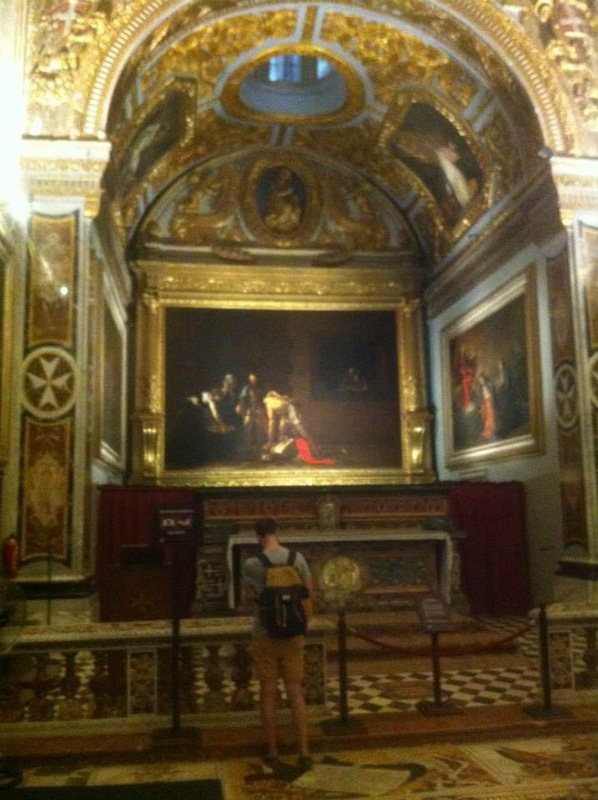 We visited St John’s Co-Cathedral, which is notable for housing two of the finest paintings from Caravaggio’s oevre. He was the original ‘bad boy’ of painting – in fact the reason he was in Malta when he painted these works was because he had fled from Italy after having killed a man in a duel (he was also accused of a second murder, as well as pederasty – which seems a not unreasonable proposition, given some of his other paintings). The finest is The Beheading of Saint John the Baptist – which is the only extant signed painting by Caravaggio, and is said to be the first depiction of a ‘tragedy’ in modern (meaning post-Classical) art. It would appear Ross is perhaps the ‘bad boy’ of World Heritage Site blogging because I recall photography being forbidden in the Oratory of St John’s, but the picture he took is below. Whilst we stayed in an Airbnb-sourced apartment in the centre of Valletta, we did coincidentally dine on our final evening at the Phoenicia (the hotel Ross and Louise stayed at). Whilst the place does exude a certain cachet, I am sad to report that the food was disappointing. 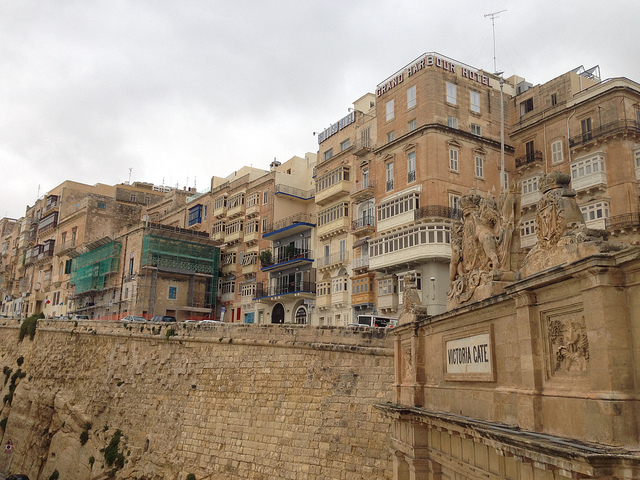 In contrast, we ate at a wonderful restaurant set inside Valletta’s great bastions – or casements – called Rampila. It was here that I had far and away the best risotto I have ever eaten, and the service was impeccable too. The experience was made all the more satisfying by the fact that we found it by chance on New Year’s Day after tramping round the whole city in the rain only to find that all of the other restaurants that were open (not many!) were fully booked. Malta became part of the British Empire back in 1814 but its proudest moment was during the Second World War. Despite fears that Mussolini would gas the island Malta played an important role in the war due to its proximity to Axis shipping lanes. 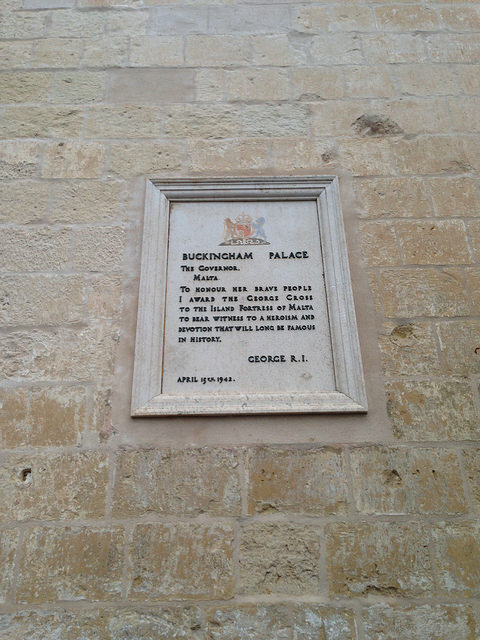 They had a rough time but showed exceptional bravery, so much so that King George VI awarded the whole island the George Cross which is still on the Maltese flag to this day. One other thing worth mentioning, whilst not in Valletta, is a visit we made to Mdina. This walled city feels worthy of a WHS nomination of its own, reminding me of a better-kept version of Kotor in Montenegro. Built on the top of a hill in the centre of Malta island, the city has the dubious honour of having been a location used in Game of Thrones (as was the Azure Window on Gozo). Natalie was pleased as punch to see it in person, and I have to say I was just as impressed at the imposing grandeur of Mdina’s St Paul’s Cathedral. Malta’s rich history was another of my favourite aspects of the visit (I note Ross missed out Napoleon’s France in his list of the island’s conquerors, which was booted out by yours truly [plural], the British). Just roving around the island you come across manifestations of the myriad of different civilisations who have called the place home. 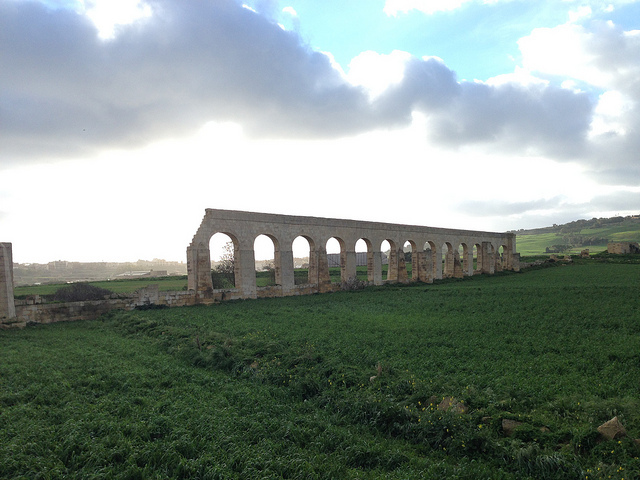 This entry was posted in 2014, 2015, Malta and tagged europe, Malta on 8 January, 2015 by Tom Livesey.